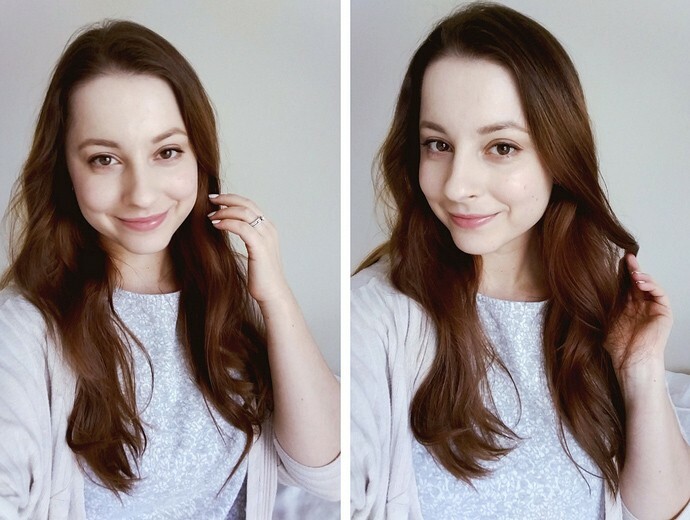 I feel like it’s been a while since I shared a hair care post, hasn’t it? Whenever I share a photo on IG stories with my hair down, at least 1-2 people will ask me what I do to make it look so healthy. The first thing that comes to mind is my shampoo & conditioner. I like using sulfate-free shampoo whenever possible, and always use a conditioner to soften and detangle the hair. The less I have to tug on the strands while combing, the better my tresses will look that day. Rich, nourishing masques are great too, but my hair is very fine so I don’t use those often. I used to be wary of oils, thinking they will make my scalp feel greasy, but now my opinion is the exact opposite. As it turns out, natural oils are wonderful for hair health. Sometimes I massage a couple teaspoons of olive, castor, coconut, or pure jojoba oils into the scalp and the ends, and it feels like at SPA experience at home. I never had a problem washing out natural oils with my regular shampoo, it’s the silicone-heavy stuff that gives me trouble sometimes. Through trial and error I also discovered that letting my hair air dry is probably the best way to prevent a lot of the breakage. I read about it in some magazine a long time ago, then tried it for a month as a test, and it worked like a charm. Walking around with wet hair is obviously not ideal, but I started washing it in the evening, – my hair usually takes about 1.5 hours to dry on its own, – and then simply style it in the morning. Divide the hair into 6 even parts, three on each side. Yep, it only takes six for me, because my hair is super fine. Curl each part away from the face. Let the curled strands cool for a minute or two, then brush them out with a wide paddle brush. 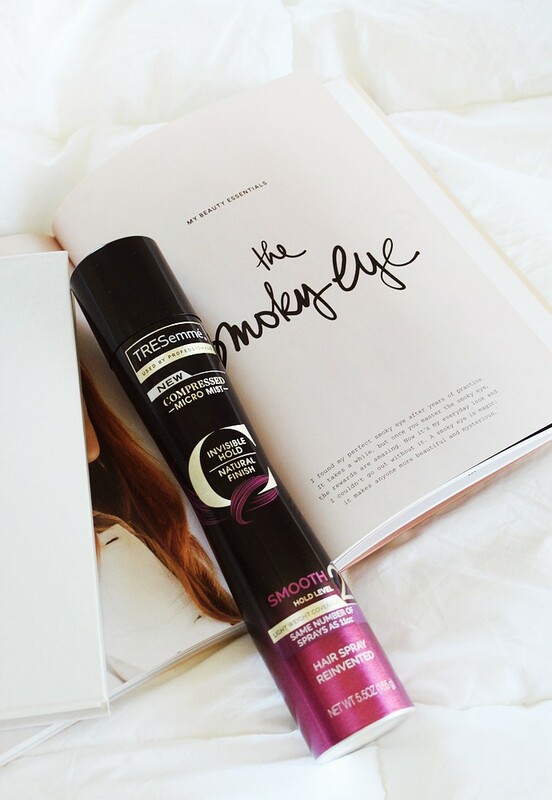 Set the waves with a medium or low hold hairspray, like the new TRESemmé Compressed Micro-Mist Hair Spray, and brush again. Ta-da! These romantic and effortless waves look super healthy, and take only five minutes to achieve. Plus, they make me feel like I have my life together even when things are going wrong. That’s the power of nice hair and good makeup, haha! I used to be loyal to a certain popular department store hairspray, but I must say that TRESemmé Compressed Micro-Mist Hair Spray from Walmart is just as good, and it’s under five bucks. Considering I used to pay $38 for my old favorite, those are some serious savings. I’ve been hoping to find a drugstore gem to replace my current spray, and looks like this one might be the one. I’ve been using it for two weeks now, and it hasn’t failed me yet. Actually, I didn’t even reach for my other products at all. So there you have it, my not-so-secret secrets to healthy and shiny hair, as well as my go-to five minute waves. I hope you enjoyed this super quick tutorial, and let me know what you think if you give it a try. 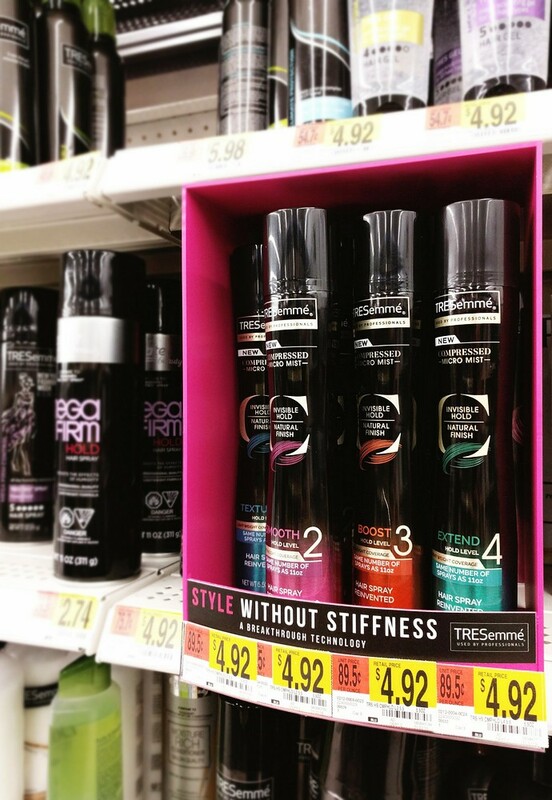 Do you style your hair regularly? What’s your go-to everyday hairstyle? What is your favorite hair product of all time? Let me know in the comments below! Glamorable would like to thank TRESemmé for sponsoring this conversation.